For the past five weeks, I've been traveling around Southern Africa. I climbed sand dunes in Namibia, saw the Big 5 in Kruger, flew high over Victoria Falls, and traveled more than 1,000 miles overland. And then I got home and became absolutely overwhelmed by it all. After having so many amazing, once-in-a-lifetime experiences, I was at a loss as to where to begin writing about them all. My adventure in Africa began in South Africa, a country that I've been desperate to visit for years. All told, I spent two weeks in South Africa, most of the time on a Style Hi Club tour with my dad. 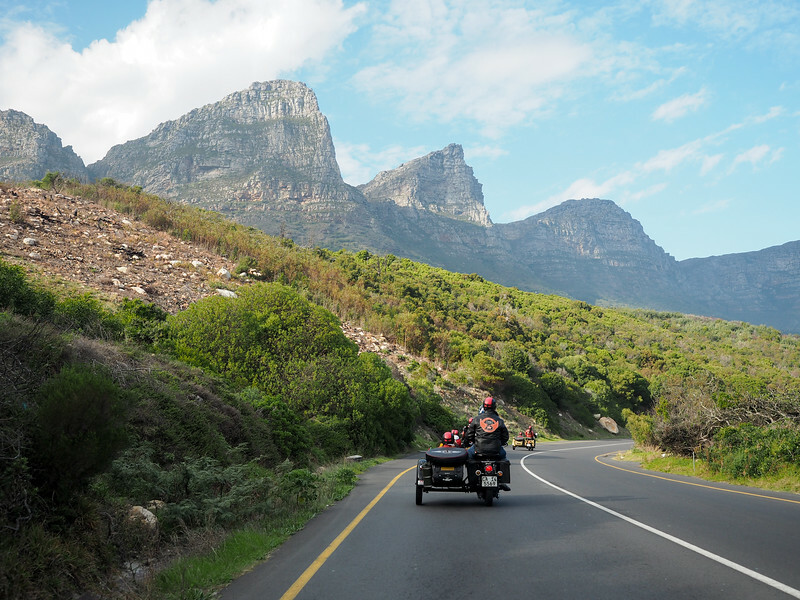 It was a luxurious, decadent way to see South Africa – not necessarily my usual travel style, but I have to say that this is absolutely the way you should see South Africa if you can afford it. We started out slow in the tiny coastal town of Gansbaai. This town is most famous for being close to Dyer Island, where lots of great white sharks can be found. But, thanks so some bad weather, we didn't get to go cage diving with the toothy giants until our very last morning in Gansbaai. Before that, we spent our time riding ATVs through vineyards, going to the southernmost point of Africa (Cape Agulhas), stuffing our faces with seafood, and watching some incredible sunsets. RELATED: Should You Go Cage Diving with Great White Sharks? From Gansbaai, we moved on to Cape Town. There, we explored the city in just about every way possible: On foot, in WWII-era sidecars, and by helicopter. 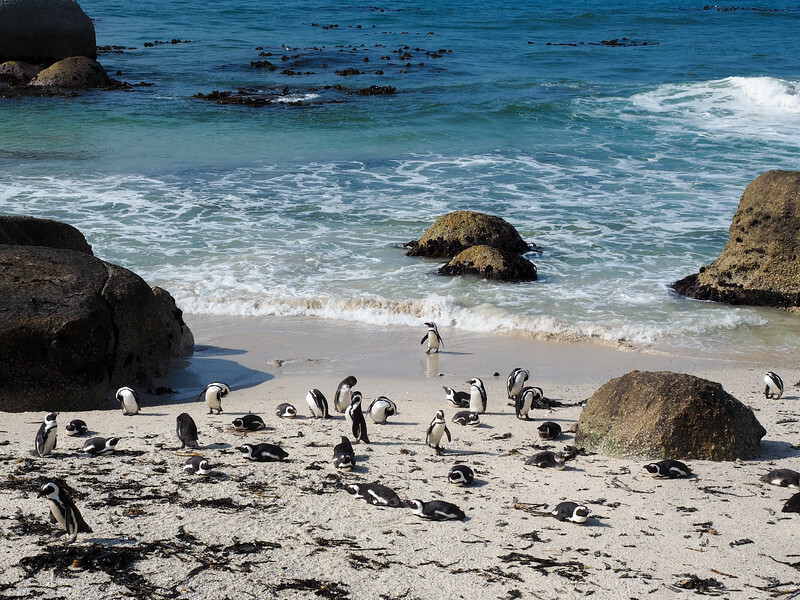 We wandered around the V&A Waterfront, visited the colorful Bo Kaap neighborhood, and squealed over the adorable penguins at Boulders Beach. 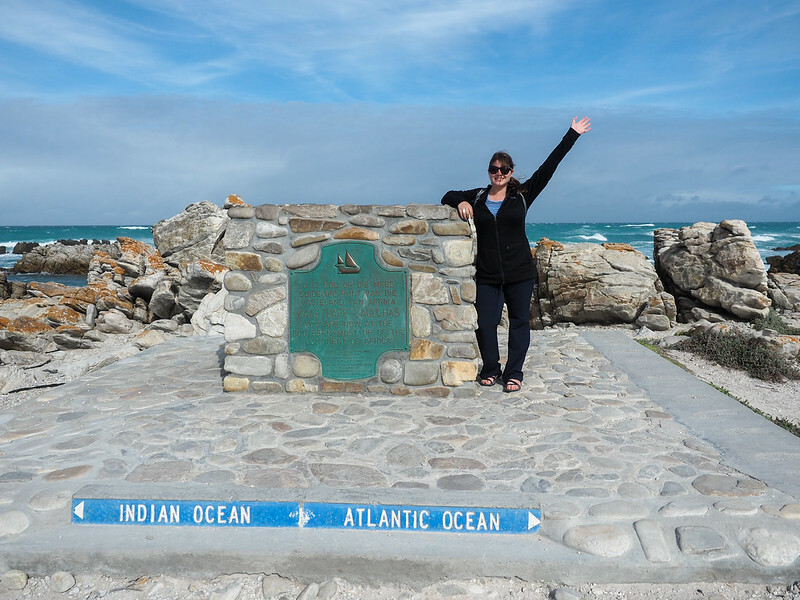 We even took a short trip to the Cape of Good Hope. 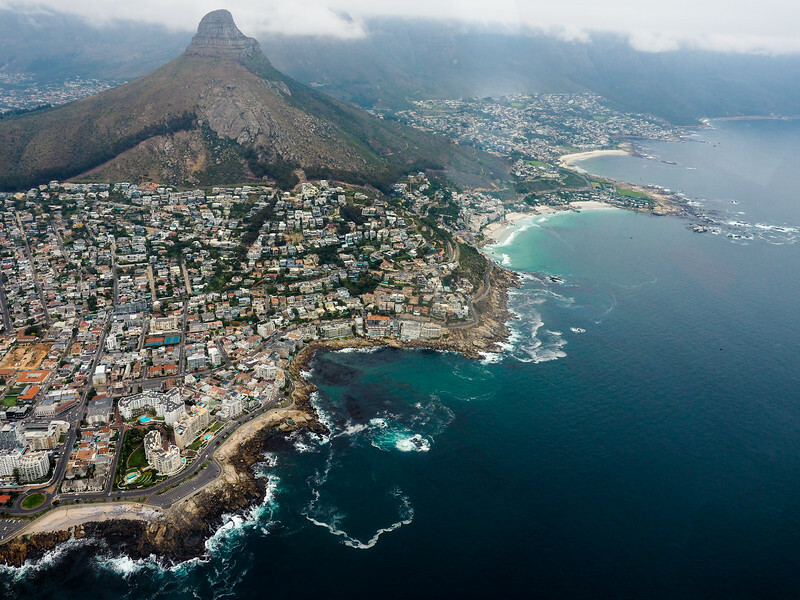 The weather wasn't the greatest, though, and so it wasn't until I was back in Cape Town on my own after my Style Hi Club trip that I was able to see (and visit) Table Mountain, and go to Camps Bay for sunset. I was very thankful for that one day of sun! 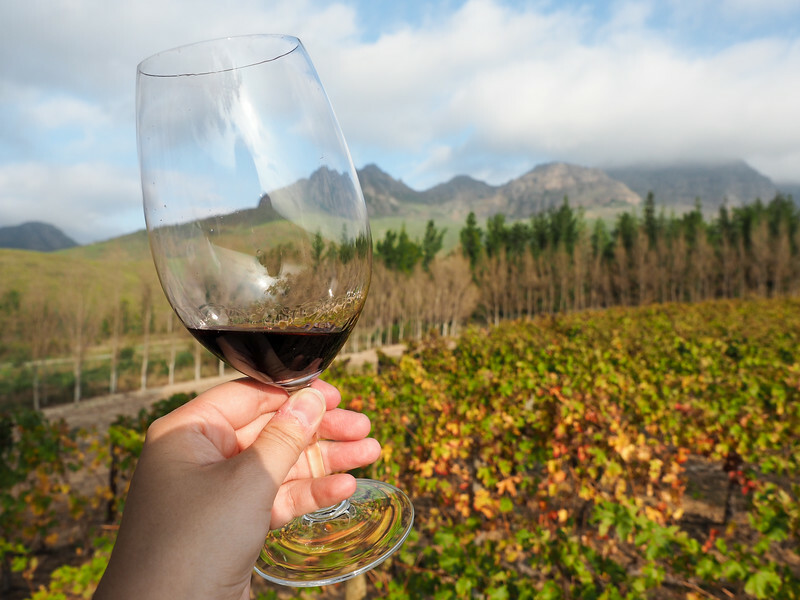 South Africa is known for its delicious wines, with its most famous wine region being Stellenbosch. 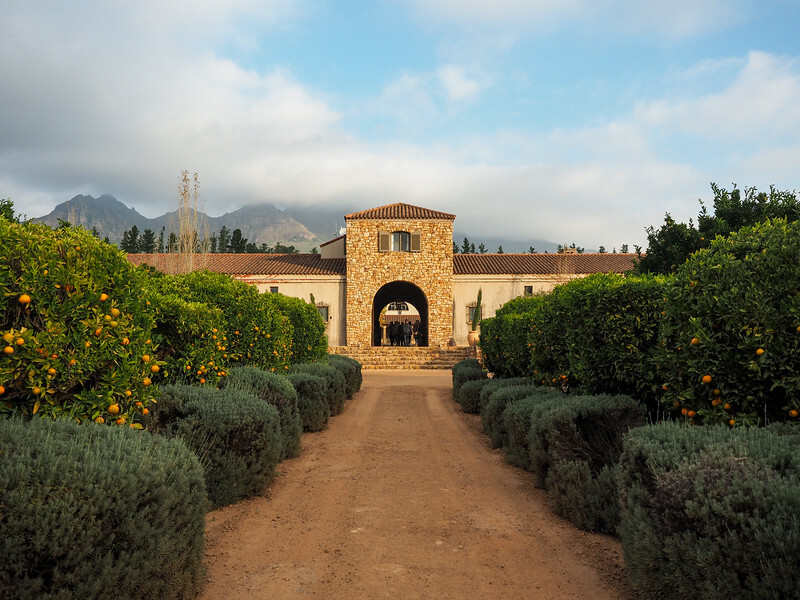 We spent an afternoon in wine country, tasting wines on a vineyard “safari” at Waterford Estate. I'm not really much of a wine drinker, but this was still a highlight for me. Waterford Estate is STUNNING, and it was a pleasure to sip wines there in the middle of the fall-colored vines. 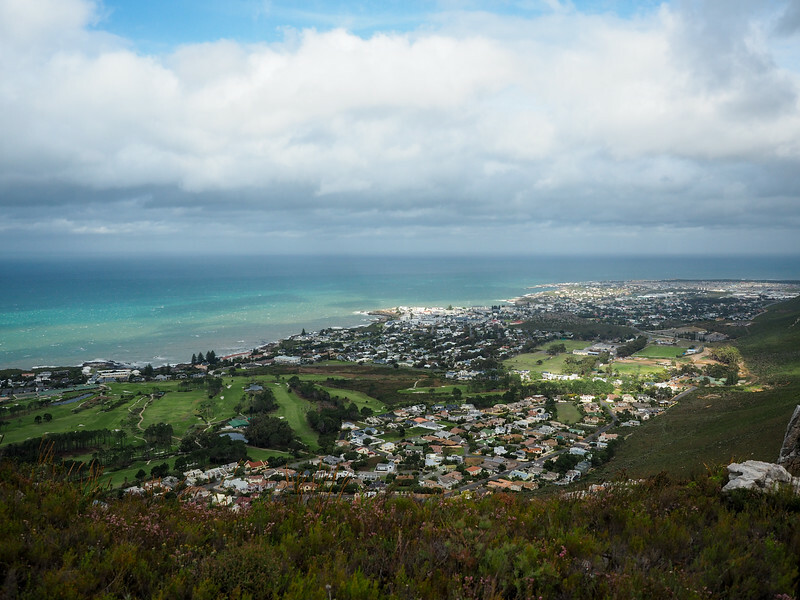 If you're planning your trip to South Africa and looking for accommodation in Hermanus, Stellenbosch or Cape Town, I'd recommend taking a look at AccommoDirect.com – they focus almost solely on accommodation in Southern Africa. Thanks to a strong US dollar and a struggling South African rand, our group got to ride the famous Blue Train from Cape Town to Pretoria. 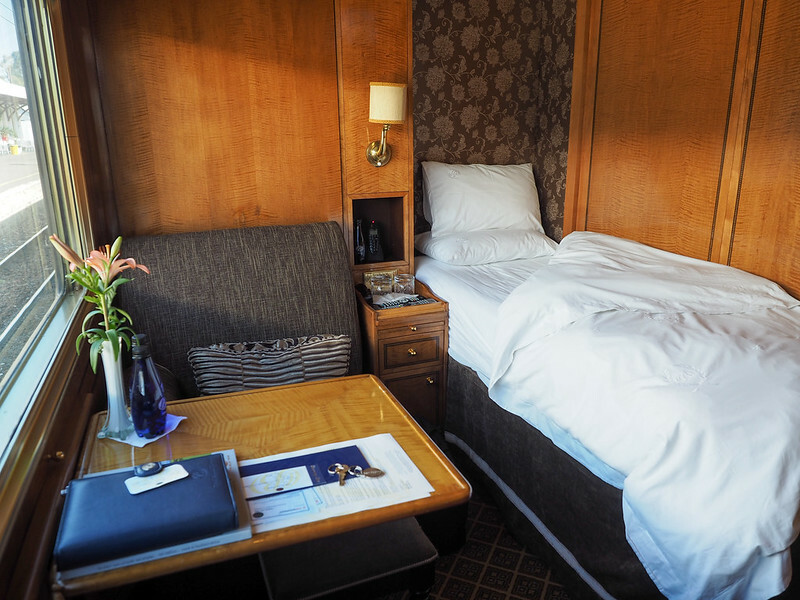 This luxury train, with its polished-wood interior and fancy lounge cars, is a throwback to the heyday of train travel. I was impressed by the efficiency of the tiny rooms, the service, the food, and how lovely it was to just relax for a day and a half and watch the countryside slip by outside the window. Lastly, the absolute highlight of my time in South Africa was going on safari in Kruger National Park. We stayed at the Jock Safari Lodge, which is a private concession within Kruger that I did not ever want to leave. 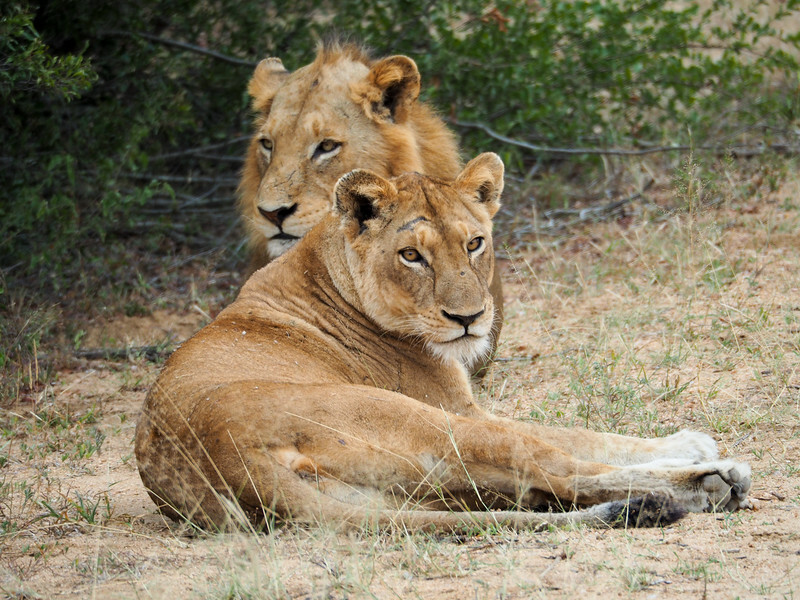 We saw the Big 5 on our very first game drive, and went on to see things like lions mating, baby elephants charging our truck, wild dogs facing off with hyenas, and much, much more. 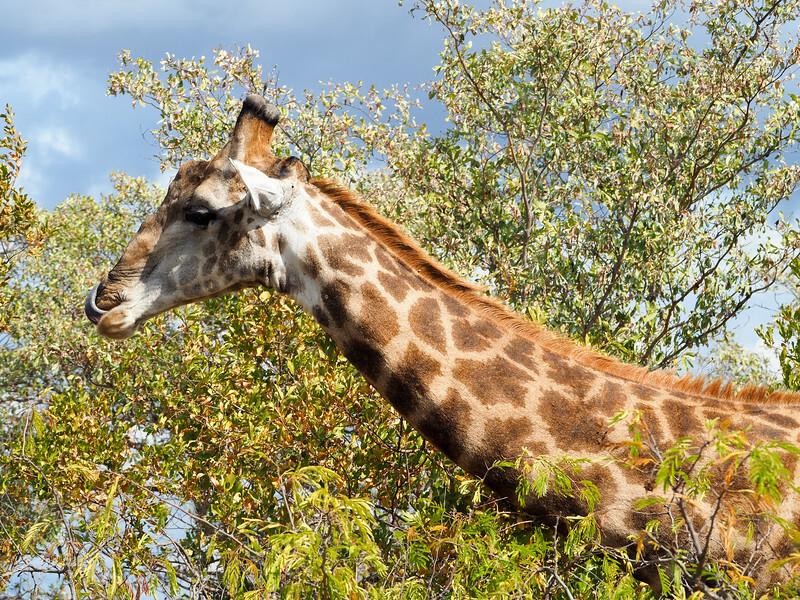 If “going on safari” is not on your bucket list, add it. Right now. Weeks later, I'm still daydreaming about Jock and this experience. It was simply incredible and something I know I will never forget. I'm so glad I got to share it with my dad! I'll be writing more about most of these experiences individually in the coming weeks, but for now, enjoy the photos! Which part of my South Africa trip would you like to read more about? 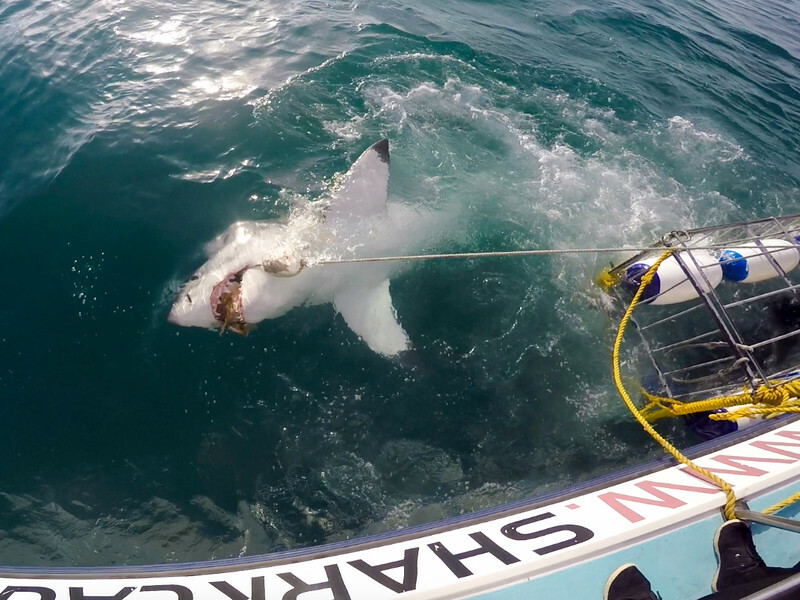 Should You Go Cage Diving With Great White Sharks? Aww thank you! The new telephoto lens I bought for this trip was definitely worth it! What telephoto lens did you use? An Olympus 70-300mm. Not the most expensive lens out there, but it did the trick! Wow! All of these experiences sound incredible. Your photographs do a great job of capturing all the fantastic adventures you had with your father. 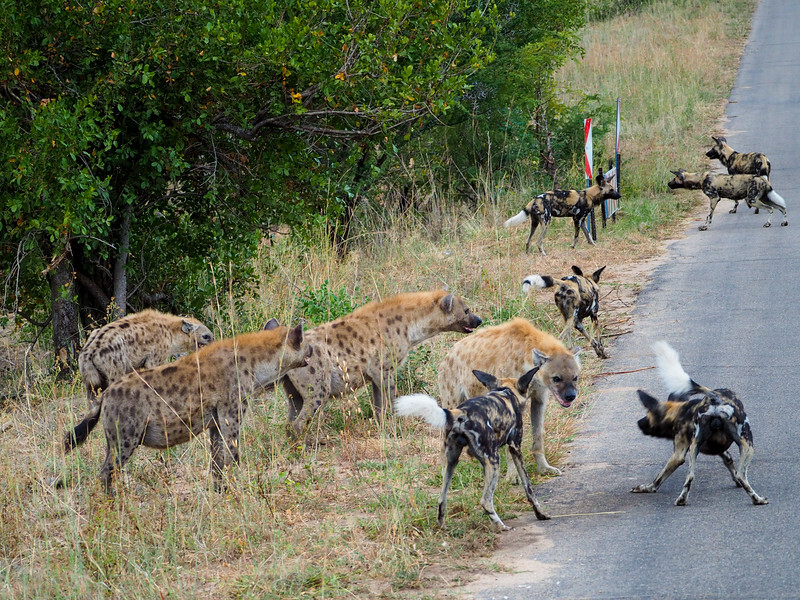 I have spent a lot of time on safari and never seen wild dogs. What a lucky sighting! Looking forward to reading more about your trip! Hi! you talked about the weather…on what month did you went there? I was in South Africa in May – so kind of autumn-ish. South Africa is amazing! Wish we could have ridden the Blue Train. Love your pictures! We made the huge mistake of buying a used camera very last minute and not testing it fully. In addition to the other big mistake of not taking our old trusty camera as a backup. So we have wonderful memories but no good pictures! I can’t wait to read more. South Africa has long been at the top of my travel list, so I can’t wait to read every last detail! I have lots to write, so I’m glad you’re excited! Would love to hear more about the Blue Train! Travelling by train is my favourite form of travel but I’ve only ever really done that in Europe. 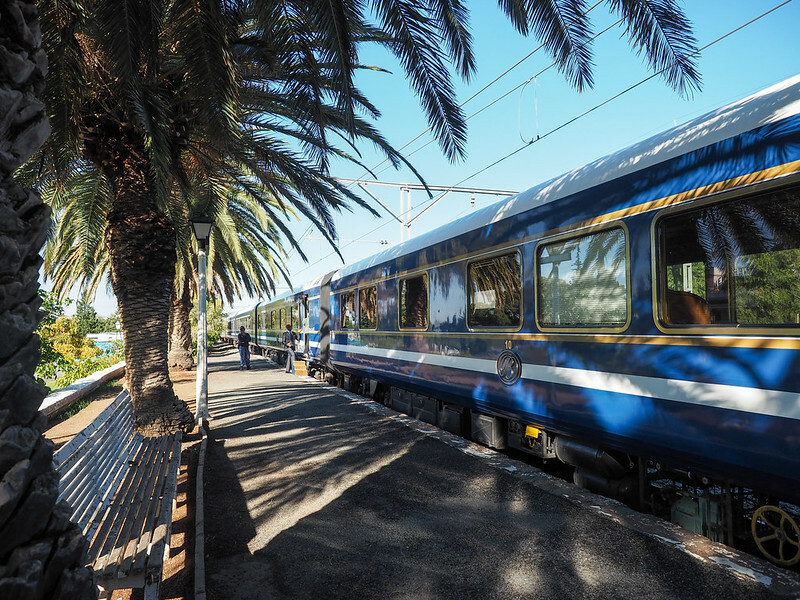 Had no idea they had such a nice train in South Africa. Normally the Blue Train is sooooo expensive. But thanks to the rand being pretty weak right now, it was actually a pretty good deal, so it was included in our tour! It was a very cool experience, and it was fun to dress up for a fancy dinner! oh wow! you’ve had an amazing time! Sure did! It’s a trip I won’t be forgetting anytime soon! It was a great first trip to Africa – I’m still processing it all and am amazed by everything I did/saw! Amanda, this looks like the trip of the lifetime! My boyfriend and I have talked about travelling to South Africa one day – after I show him these pictures, especially after him seeing the one of the Great White, I think he will be pushing for this trip much sooner in our lives haha beautiful pictures! Do it! 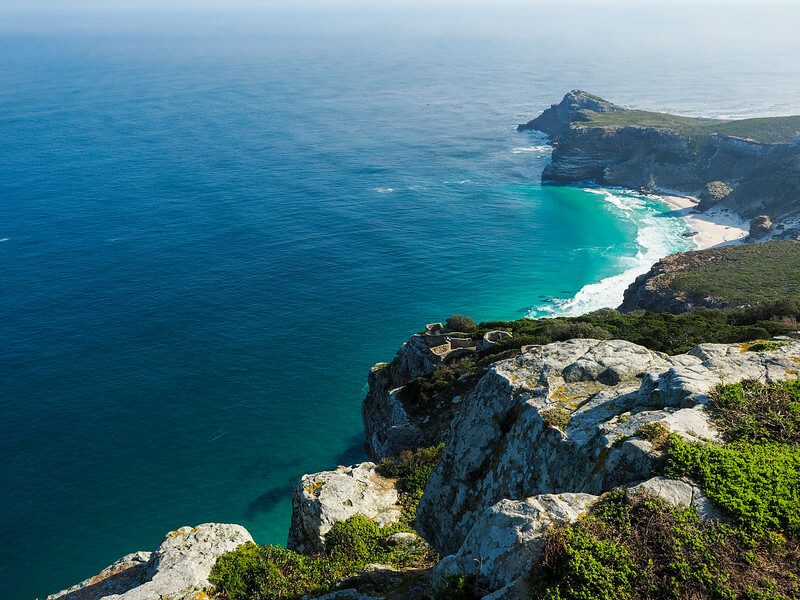 Right now is a fantastic time to go to South Africa, too, because it’s really affordable! Wow looks an amazing trip, can’t wait to read more about it. The Lion King traumatised me. I can’t stand the sight of hyenas, haha! I know, right?!? We heard them “laugh” once or twice, too, which just made my stomach flop. Yayy! The Southern Africa posts are starting 🙂 I’ve really been looking forward to this as I’m considering a trip there myself next year! Bring on the pretty pictures and awesome stories! I’ve been to South Africa before, and I’m so impressed with it. We visited many of the same places – which means my favourites are quite similar to yours. I went on a safari in Kragga Kamma Game Park and Addo Elephant Park, which, judging by your pictures, is not nearly as exciting as Kruger. It seems I have to make my way east one day! Yes, the Africa posts are starting! 🙂 Kruger blew my expectations out of the water! 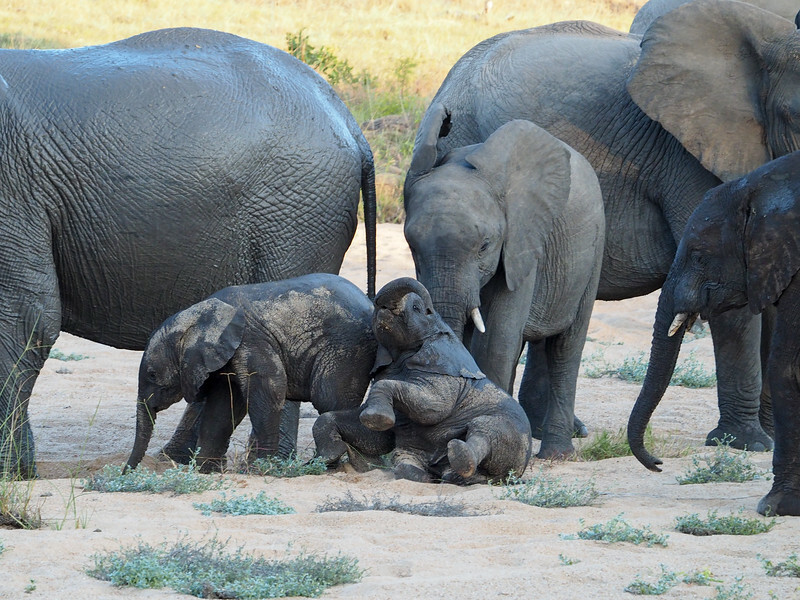 It was probably my favorite park in Southern Africa (though Chobe was a very close second). Luck for you my shark diving post should go up tomorrow! The train ride intrigues me. What a great way to see the country! Would love to do that (once we win the lottery of course!). Beautiful pictures! Thanks for sharing your trip with everyone! Funnily enough, the landscape between Cape Town Pretoria was much less exciting than I was expecting! 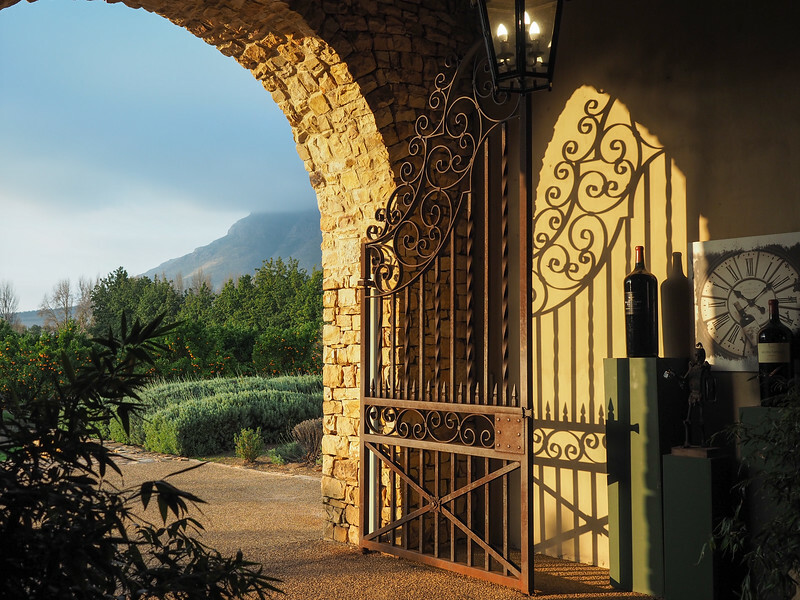 Some winelands, and then a whole lot of absolutely nothing! But the train ride was great – definitely a must if you can do it! 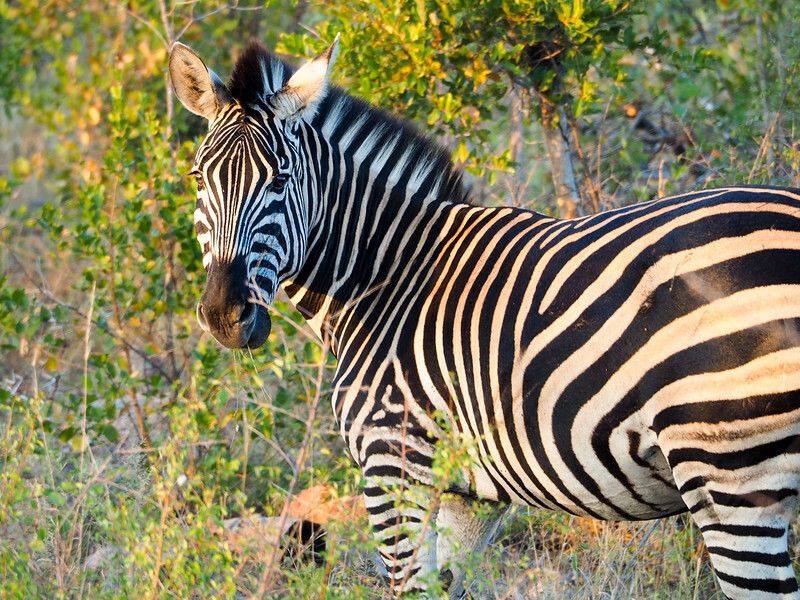 Glad to hear you had a great trip to South Africa, too! Yes!! 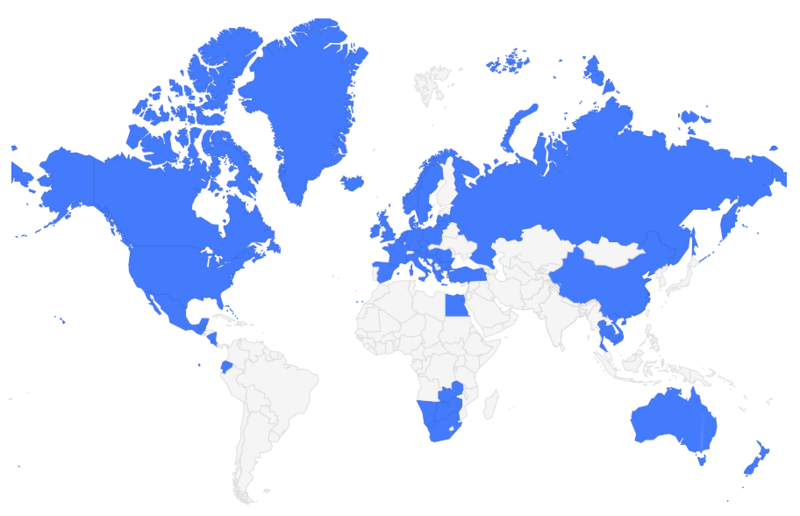 Your posts on Southern Africa have begun! I’m excited to read more and I’m so glad that you had a great time 🙂 And those baby elephants are adorable. Stop making me wanna visit South Africa, Amanda! I’m scared of flying and it’s a beast of a flight to Cape Town, haha. Those photos are incredible! I would love to ride the Blue Train so much! Trains are my jam. And the picture of the shark is so cool. I’ve always wanted to see a Great White. LOL I would say I’m sorry, Rachel… but I’m totally not! South Africa is amazing! It doesn’t look like it was too cold in South Africa, given that it’s currently winter there. Thank you, Danny! And no, it wasn’t too cold at all! The evenings sometimes got a bit chilly, but “winter” in Southern Africa is definitely a lot different than winter in Ohio! Cage diving, Cape Town and an African safari have been on my bucket list for forever! Hope I’ll be able to do what you’re doing someday! The safari was, I think, the highlight for me – even better than I ever expected! If you had one area to recommend for a two-week trip, where would it be? 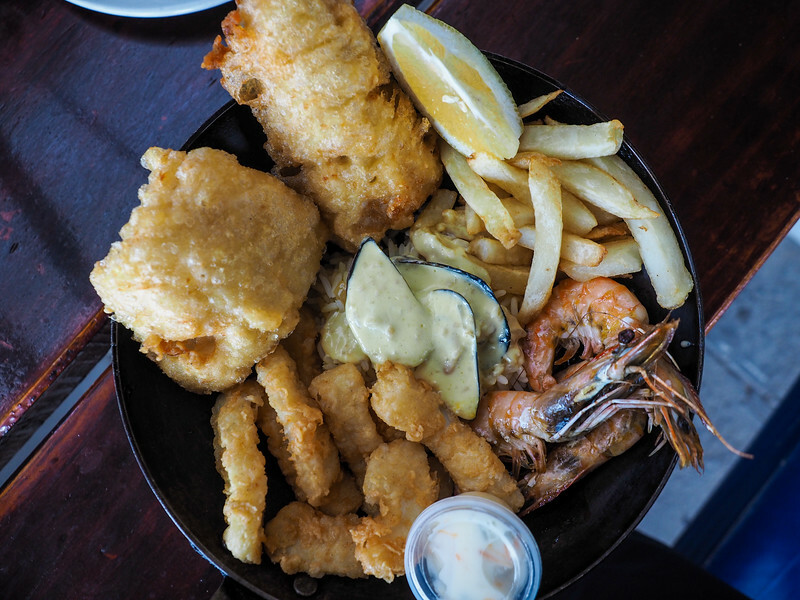 I’ve never even thought about how great the seafood must be in South Africa! It was tough to see the townships just outside of Cape Town, especially when I was on this super luxurious trip. Knowing that many people live there with absolutely nothing was sad, and made me very thankful for what I have at home. 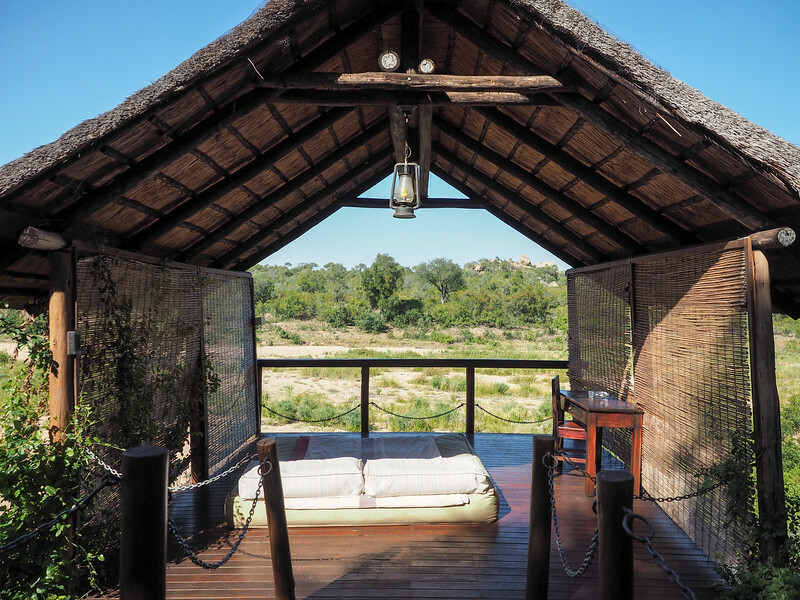 The one area I’d recommend would definitely be Kruger! The safari was amazing. And yes, the seafood (especially in Gansbaai and Cape Town) was amazing!! Love this post! Your photos bring me back to our happy 2 weeks in South Africa this past September for our honeymoon! 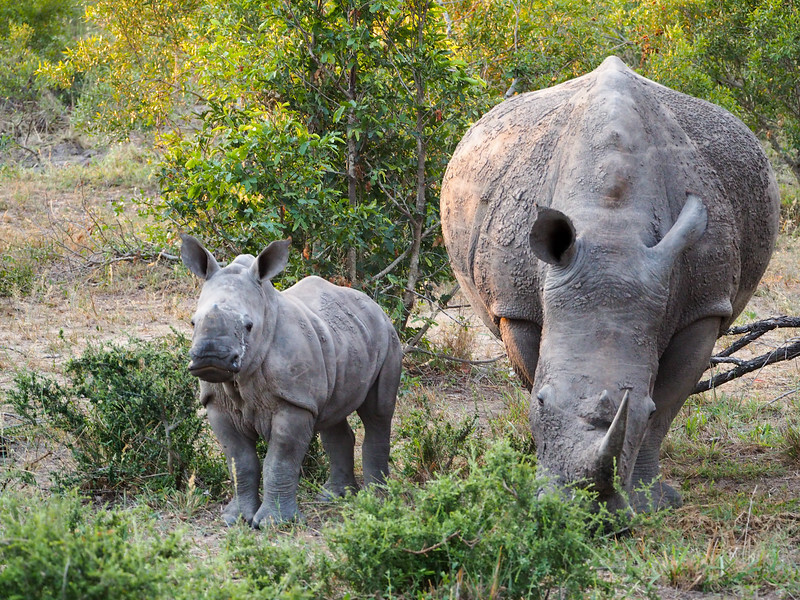 The Big 5 in Kruger was one of the best experiences of my life – my only regret is that we didn’t stay longer. 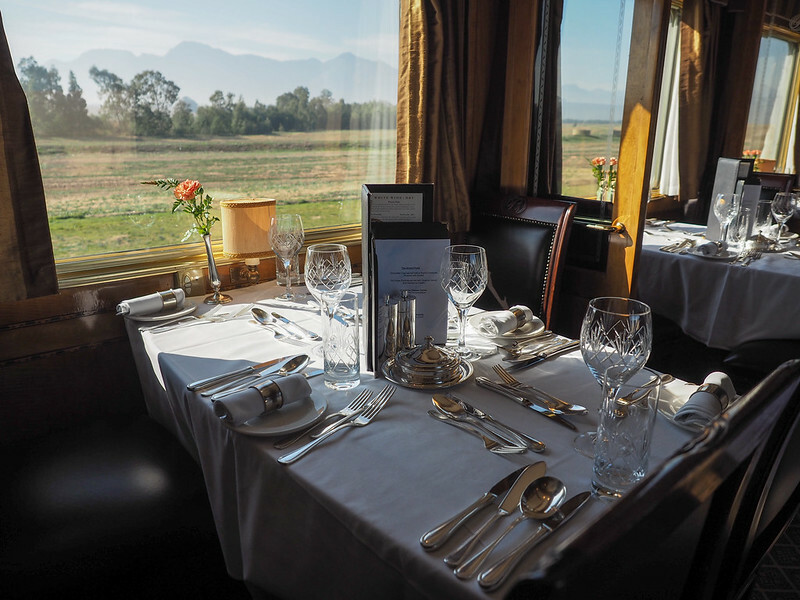 I love the Blue Train – I’m dying to try any of form of old train travel and this looks fantastic! Table Mountain was foggy every day we went up so I think that is reason alone to return to South Africa! 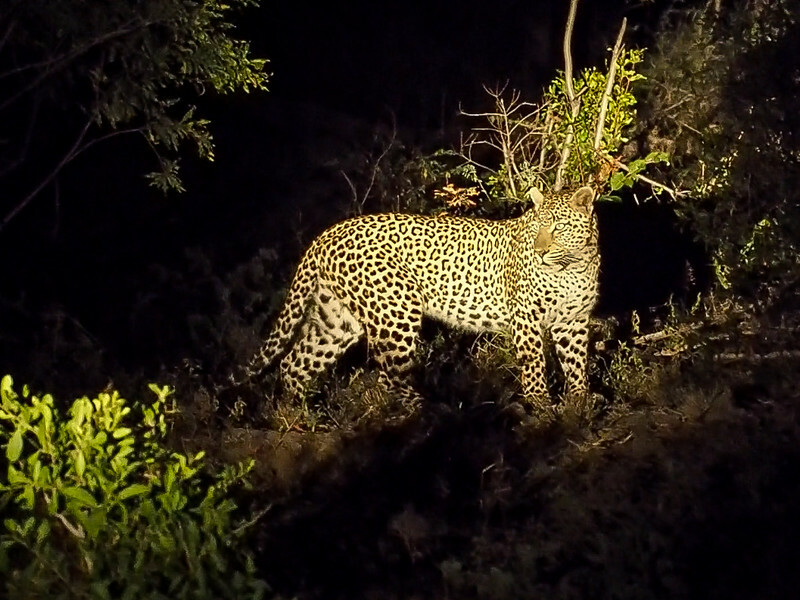 The Big 5 in Kruger was the highlight for me, too. I could have stayed at that lodge forever! I can’t wait for all the details, especially the shark diving! I would love to read more about the train journey as I’ve heard so much about the Blue Train lol! I spent so much time relaxing and just enjoying my time on the Blue Train that I hardly took any photos! So I’m not sure if I’ll do a separate post. BUT, it was definitely a cool experience, especially if you love trains. Awesome post! Lovely pictures! Thanks for sharing. Hi Amanda, what travel agency did you use to book your accommodations? What crazy timing this is! I came across your blog post by way of Pinterest. I have done absolutely no searches for safariing on Pinterest but there you were. 🙂 My boyfriend and I will be on our way to Joburg, Kruger and Mauritius in 3 days! We’ll be staying for 2 wks. So it was super awesome to read about your safari. We’ll be staying at the Phelwana Game Lodge. Hopefully our experience will be as equally awesome as yours. Your pics are truly awesome and gave me such a rush for the things we might see. I hope you have just as amazing a time, Tania! Kruger is quite a special place. Hi Amanda! It was truly amazing. We didn’t come upon any wild dogs 🙂 (I told our guide about you ’cause they want to see wild dogs so bad out there) but we did see two leopards. Our guide was so pumped since she hadn’t seen one let alone 2 in months. It was truly special and we got to see all 5 of the Big 5. Our lodge was really nice as well. All around, it was such a great experience. 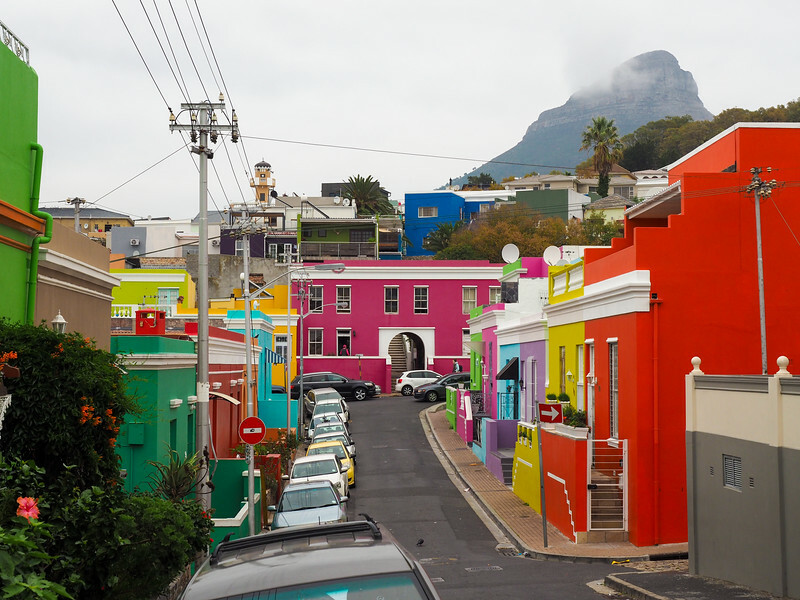 Lots of people agreed that we should have visited Cape Town. So that just means some time in our future my boyfriend and I need to go back to Africa. 😀 I hope if we do, we do the same tour you did. It looked super fun. 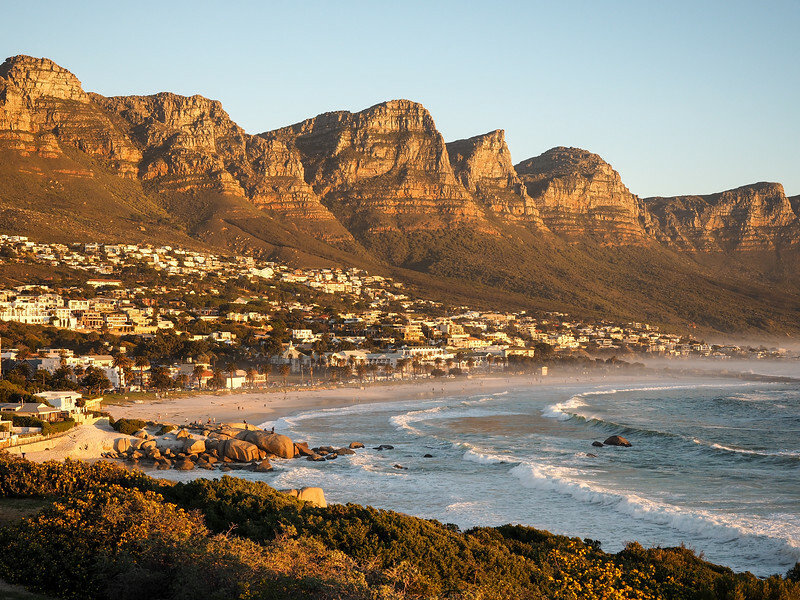 Visiting Cape Town would be a great reason to return to Africa! So glad to hear that you go to see the Big 5 on your safari! Such a special experience. Thank you for visiting my Country and I really hope each and every one will come and visit South Africa soon. Wonderful post – so many great travel ideas! What time of year did you visit? My husband and I are trying to plan a similar trip and had thought of going over Christmas/New Year, but have heard maybe we should put it off til September when game viewing is better. Were you there in the wet or dry season – it looks like you had plenty to see! We were there in May, which is late autumn. Technically wet season in Cape Town (I think), and the start of the dry season in places like Kruger. I thought it was a great time to visit! Amanda, September/October is the best time to go, especially if you are going to be going to Kruger National Park. It is spring and the grass is still low after the dry winter, so the game viewing is wonderful. Also in October/November the park comes alive with all the babies being born. December is hotter than hot (mid-summer)in KNP – it is really scorching hot and not pleasant at all. December in Cape Town is fine, but still hot. 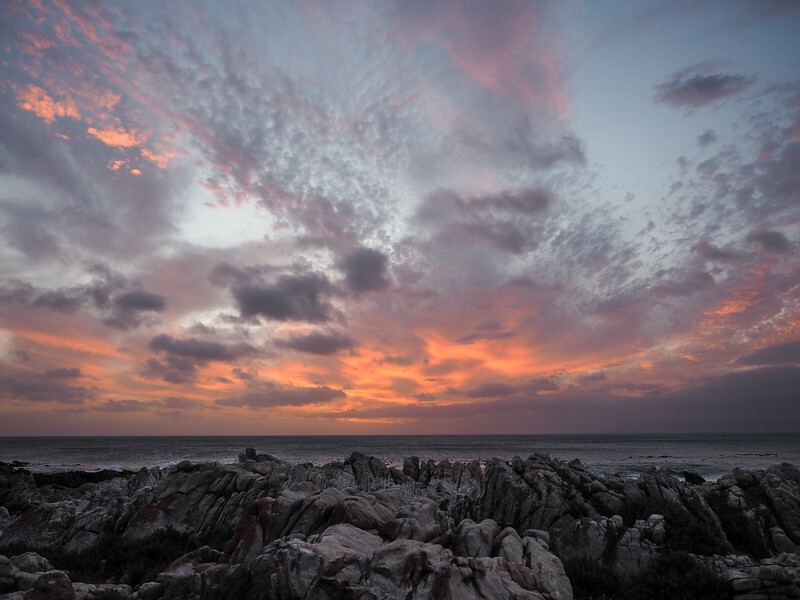 Wow, Amanda, your South African photos are stunning! For me, a great surprise was the South African food. Despite the large amount of meat and deep-fried dishes we devoured, nothing felt heavy in the stomach. YES! 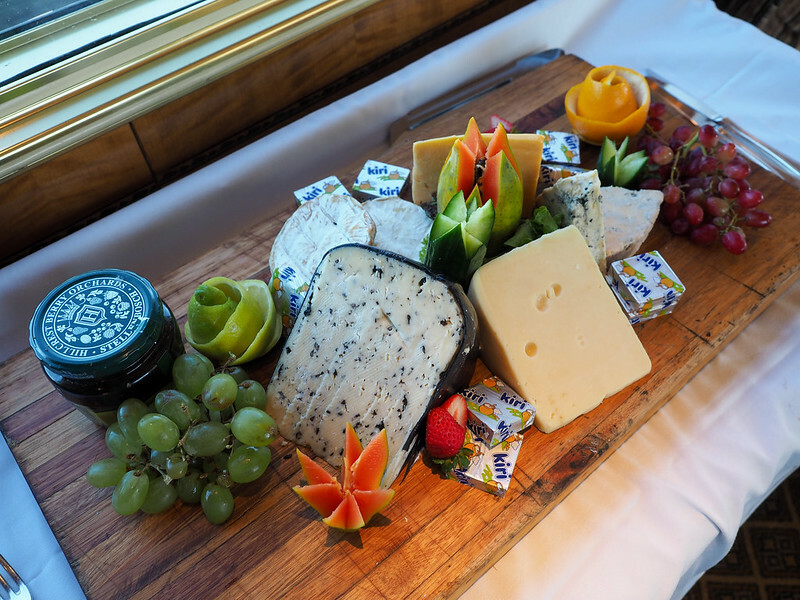 My dad and I felt the same in South Africa – we were blown away by the food. My dad is prone to stomach issues, and had absolutely zero our entire trip! South Africa was my first home for 56 years. The people are just the greatest. Once you have been there it will always be in your blood. Viva SA!!!!!!! Your trip described “everything the heart desires”. 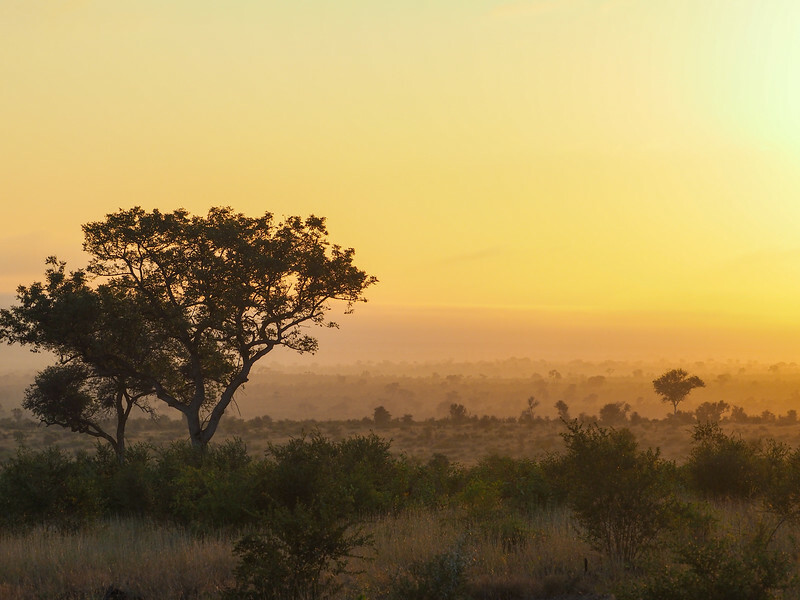 May the Kruger National Park be one of Gods extra miracles and be there forever. We were last september 3 weeks in South Africa and liked it a lot. Especially the safari’s and the wine tasting. Great pictures you have. They bring back a lot of memories. 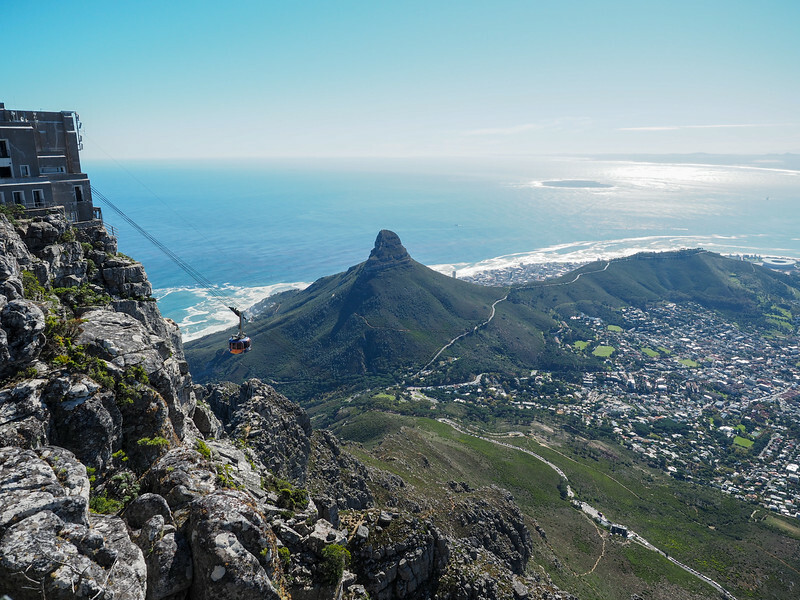 There’s so much cool stuff to do in South Africa! Loved your blog and really helpful in term of every aspect…. can you please provide an itinerary for Mauritius for a week like you have for Seychelles. Sorry, but I haven’t traveled to Mauritius yet! And I only write itineraries for places I’ve been, based on my own trips there. Hi Amanda! I would like to know what camera and what lens did you use for the safari. We are going to Kruger in two months and I would like to be prepared to take close up like yours! Thanks!